In recent years, split-dollar life insurance arrangements have made a comeback as a key benefit strategy for businesses who want to incentivize their key employees. These plans allocate the cost and benefits of a life insurance policy to maximize tax advantages for the employer and employee. Split-dollar life insurance is not a life insurance product, but rather, a strategy that allows two parties, typically an employer and employee to share both the costs and benefits of a permanent life insurance policy. Split-dollar is not a new strategy. It has been around for decades but is seeing a resurgence in popularity due to the many advantages for both the employer and employee. At a high level the structure of split-dollar is simple. An employer funds premium for a permanent life insurance policy. The policy is owned by the insured employee or a trust for their family’s benefit. The employee owes the employer the premium advances (in some cases the policy cash value), typically paid back at death from the death benefit. Annually, the employee is responsible for some taxable income for this structure. There is a lot of flexibility in how the plan can be designed, which makes this a powerful tool. While the basics of this plan are simple the actual design of the arrangement can be quite complex with IRS regulations and long-term planning decisions being important considerations. It is best to seek professional advice when designing the plan. The plan can be designed to maximize death benefit for the insured’s family or maximize the accumulation of cash value, which can provide future tax-free income for the insured. Plans can also be designed to do both. This versatility makes a split dollar arrangement an extremely tax efficient way to provide a valuable benefit to a key employee. Nonprofits can also garner significant benefits from using a Split Dollar Insurance strategy. Historically, nonprofits have been at a disadvantage compared to for-profit corporations in acquiring and retaining top talent. Their inability to offer equity-based incentives and the additional tax restrictions have left nonprofits looking for way to compete with for-profit corporations. Additionally, the recent tax law changes have imposed an excise tax on the highest compensated folks in a charitable organization. In response, a nonprofit organization may consider a split-dollar insurance arrangement depending on the needs of the executive or director involved. A great example of a nonprofit utilizing a split dollar arrangement is The University of Michigan’s 2016 contract with head football coach Jim Harbaugh. The University of Michigan made the announcement that it had amended its contract to add a creative deferred compensation alternative involving cash value life insurance. Rather than a Deferred Compensation Agreement, Harbaugh and Michigan entered into a Split-Dollar Loan Agreement. Under this agreement, the University agreed to make seven loan advances of $2 million each that would be used by Harbaugh to pay premiums on a life insurance policy. If the policy stays in force, the loan does not have to be repaid until Harbaugh dies. At that time, Michigan will recoup its original $14 million investment, and Harbaugh’s beneficiaries will receive the remainder of the death benefit. These plans usually include some sort of income vesting schedule, so the employee gets the rights to the deferred income over time rather than all at once. In addition, the University of Michigan retains more control over the contract and likely included some performance metrics in it as well. In today's job market, employees are looking for companies that offer the most robust benefits. Job seekers know what they want, and they are much more likely to join a company that gives them these things. To attract and retain top talent, companies must be creative with their offerings. 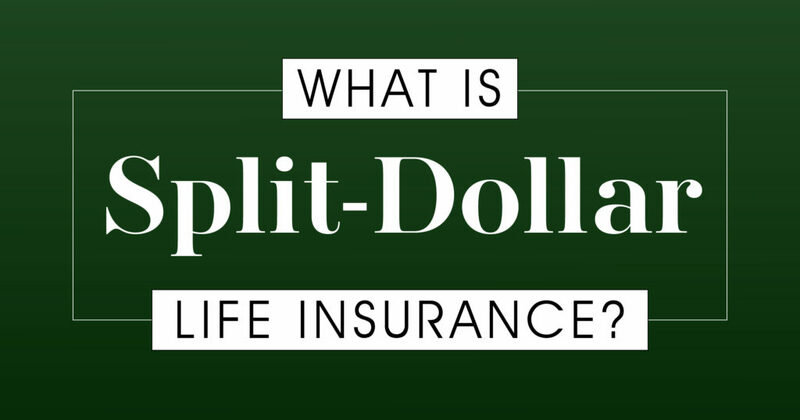 Split-dollar life insurance is one-way employers can do just that. Split-dollar life insurance is a creative, tax-efficient strategy that can be used to provide key employees with the benefits they want. More specifically, nonprofits can substantially benefit from the use of split-dollar based compensation for highly compensated employees. TDC Life does not provide tax or legal advice and you should seek specific legal and tax guidance for your unique situation from your professional advisors.